Irked by the persistent suicide bomb attack, the Borno Command of the Civilian Joint Task Force (CJTF) has advocated for engagement of hunters in the counter-insurgency campaign. Mr Jubrin Gunda, the CJTF’s Legal Adviser, made the call in an interview with the News Agency of Nigeria (NAN), on Sunday in Maiduguri. NAN recalled that Boko Haram insurgents in recent times intensified suicide bomb attacks targeting civilian population in the metropolis and University of Maiduguri community. About 12 CJTF members and seven other persons were killed in a suicide bomb attack at Moloi and Polo areas of Maiduguri in the past five days. Gunda said that practical measures were necessary to check the bomb attacks and promote peace in the society. “Hunters and other vigilante groups should be co-opted in the anti-insurgency campaign. They should be allowed to work in their respective localities. “Re-introduction of military sector commands in Maiduguri metropolis and its environs is imperative toward enhancing security, protection of lives and property. “There is a need for proper coordination and joint patrols by military, police and the CJTF members to check the menace. “Also, it is desirable to provide the CJTF with modern weapons, amunititions, training and motivational supports to boost their morale,” he said. Gunda further suggested for the deployment of joint patrol teams to major highways, to protect motorists from the attack by the insurgents, who were blocking the roads. 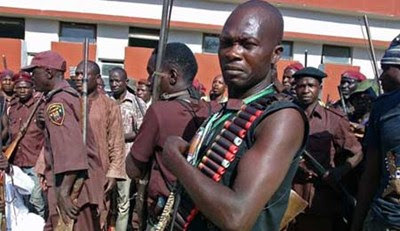 NAN reports that about 680 members of the CJTF were killed in various anti-insurgency operations in the past four years.